Here's a list of Chapter 4 - Hard Reboot Task Missions that you need to complete in order to Master the Chapter. You may also use the Chapter 4 Missions and Stages below as your reference for finding locations of certain enemies or villains. Kindly note that the "How to Complete" section below are just suggestions based from my gameplay experience and available heroes, so they are not the only way to complete the tasks. - Task: Win PVP fights! (3 Times). - How to Complete: Normally play PVP mode and win 3 times. - Task: Defeat Jocasta-type Ultrons in Chapter 4 (10 Times). - How to Complete: Complete Mission 2 Stage 1. - Task: Defeat Ultron's Army in Chapter 4 (25 Times). - How to Complete: Reach and clear Mission 2 Stage 1 to complete. - Task: Defeat Hydra in Chapter 4 (25 Times). - How to Complete: Just continue and clear Mission 2 to complete. - Task: Defeat members of the Sinister Syndicate in Chapter 4 (25 Times). - How to Complete: Just continue and clear the early stages of Mission 4 to complete. - Task: Absorb damage from Radioactive Man using Shields (10 Times). - How to Complete: Example heroes that can use Shields: M.O.D.O.K (Chapter 2 Mastery Reward - Can buff shield to all allies), Electro (Chapter 1 Mastery Reward), Iron Man, War Machine, Moon Knight, and more. - Equip Barricading Iso-8 to your heroes if you don't have any heroes with shield ability. - Shield on then let him attack 10 times. If you missed some, you can also complete this task in Hard Mode Chapter 4 > Mission 6 > S4 (Mini Boss-Radioactive Man) below. - Note: I only listed the Hard Mode path for reference, you may take the shortest route (Normal Mode paths) if you just need to finish the Mission. - Task: Apply Wounded to Crimson Dynamo in Mission 4.1 (1 Time). - Task: Apply Stumbling to Blizzard in Mission 4.1 (1 Time). - Task: Attack Bowman with Projectile attacks in Mission 4.2 (3 Times). - How to Complete: Example heroes with Projectile attacks (usually guns or arrows): Hawkeye, Rocket Raccoon, Falcon, Agent 13, War Machine and more. 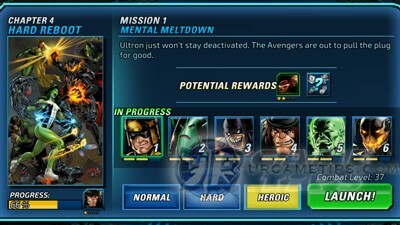 - Task: Defeat Elite Ultrons in Mission 4.2 without losing a Hero (10 Times). - How to Complete: It says (Heroic) but this task can be completed after defeating Bowman above. - Task: Attack Hammer with Blunt attacks in Mission 4.2 (3 Times). - How to Complete: Use heroes that uses blunt weapons including shields, examples are: Wasp, Captain America, Thor, Daredevil, and more. - Task: Use a Tactician to killing-blow Green Goblin in Mission 4.3. - How to Complete: Just make sure that you Tactician will deal the last hit. - Task: Use an Infiltrator to killing-blow Paladin in Mission 4.4. - How to Complete: Just make sure that you Infiltrator will deal the last hit. - Task: Use Shock attacks on Shocker in Mission 4.4 (3 Times). - How to Complete: Example heroes with Shock attacks: Wasp, Black Widow, Electro, Nebula, Hank Pym, Thor, Star Lord, and more. - Task: Use a Blunt attack to killing-blow Scientist Supreme in Mission 4.5. - How to Complete: Use heroes that uses blunt weapons including shields, examples are: Wasp, Captain America, Thor, Daredevil, and more. Just make sure to use a Blunt attack as your last hit. - Iron Fists's Healing Lotus can remove Necrosis debuffs and heal your team. - Use Wasp's Bioenergy Blast to easily break enemy shields. - He can heal, but the real problem is his Frenzy buff, because he can boost his Accuracy and Speed to up to x5 if you will not do anything to prevent it. - If you are having trouble, just use hero abilities with Confused debuff here: List of Debuff Effects. So far Black Widow's Widow's Kiss and Spider-Woman's Spy Weakness are the most common ones. Just spam it to remove or prevent Tiger Shark's Frenzy buffs. - Task: Use an Energy attack to killing-blow Living Laser in Mission 4.5. - Location: S1 (Army of Ultron); S2 (Army of Ultron); S3 (Mini Boss-Living Laser) - How to Complete: Example Heroes that can deal Energy attacks: Iron Man, War Machine, Rocket Raccoon, Star-Lord, Captain Marvel, Nova, Iron Fist's Chi Blast, M.O.D.O.K., and more. - Defeat Epic Boss M.O.D.O.K. and Graviton in Mission 4.5. - How to Complete: Both Epic Bosses will appear right after Wave 1. Both can also use Shields, so as usual, use Wasp's Bioenergy Blast to break them, Iron Fist as backup healer, plus 3 DPS heroes. - Example Team: I used a Static Shock team so my DPS Heroes are Electro, Star-Lord and Black Widow. Black Widow's Widow's Kiss is also handy here to keep M.O.D.O.K. 's stats from getting high because of his Mental buffs. - Defeat Boomerang in Mission 4.6 Twice. - How to Complete: If you are having trouble with Mini Boss Tiger Shark, refer to the "How to Beat Tiger Shark" above. Once you defeat Boomerang, restart the Chapter and defeat him again to complete this task. - Defeat the Sinister Six Epic Bosses in Mission 4.6. - How to Complete: Wave 1: Electro and Mysterio; Wave 2: Doctor Octopus and Rhino; Wave 3: Green Goblin and Lizard. - Focus on Lizard first, but when his Primitive Reflex is up, do not attack him unless you can dodge it. When Green Goblin's serum expires, he will get stunned, take this chance to attack him. - Example Team: Wasp (leader and tank with 5k+ Evasion, Bioenergy Blast for Wounded effect), Iron Fist (full support healer), and Electro (Static Shock hero with nice DPS and Stun). 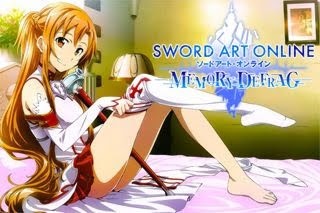 Recommeded Team Ally: A hero with +Evasion stats. - Complete all Mission in Chapter 4 on each difficulty.